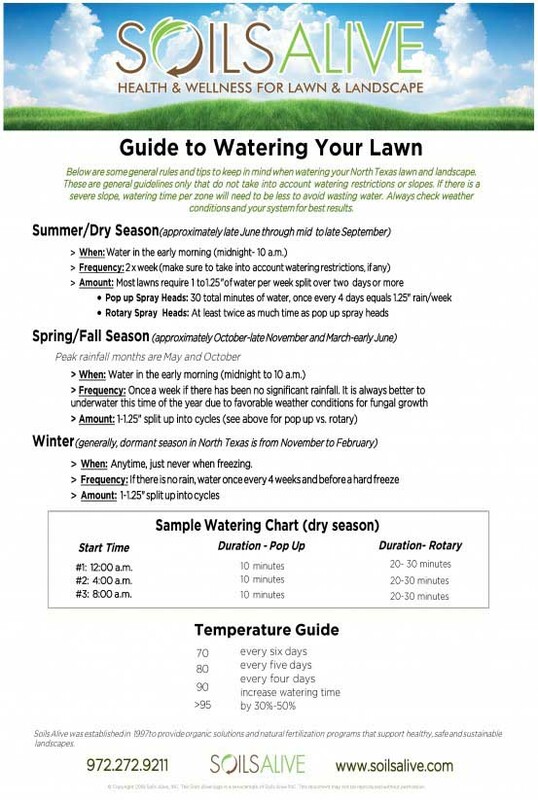 IF YOU HAVE ST. AUGUSTINE OR ZOYSIA GRASS, RIGHT NOW IS AN OPPORTUNE TIME TO CUT BACK ON YOUR WATERING. The Fall Equinox is fast approaching on September 23, 2018. On this date the physiological characteristics of grass changes and it stops actively growing. When the turf is not actively growing, it needs much less water than it did in the summer. This is where some homeowners create self inflicted wounds to their grass due to overwatering, especially those with St. Augustine or Zoysia grass. 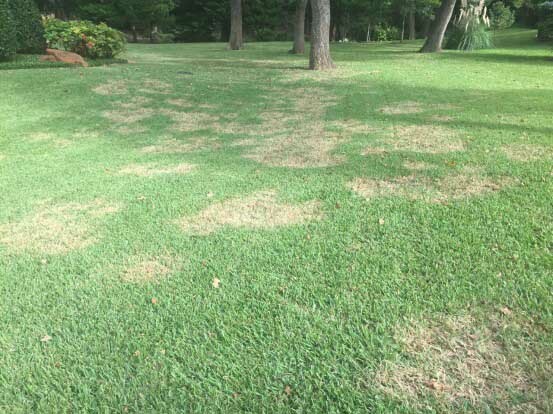 Right now is a great time to cut back on your watering not only because we’ve gotten so much rain lately but also because St. Augustine and Zoysia are susceptible to the dreaded Rhizoctonia Solani, AKA Brown Patch. Brown Patch is a fungal disease that thrives in moist cool environments. Once infected, excess water exasperates the issue and it continues to spread. While Brown Patch is not something that will kill the turf, it does set the grass back in the spring when it is trying to come out of dormancy. Lawns that were affected by brown patch in the fall will be at least 2 weeks slower to green up than non affected turf. Lets get ahead of the curve this fall and try and outsmart this pesky disease! 1. Cut back watering to once a week per the watering guide. If there has been significant rainfall, turn the system off until 1 week passes with no significant moisture. 2. If you start to notice signs of brown patch in your yard, first call us and next turn your system off for 2 weeks or until further notice.